KLUS offers a wide range of LED stair lighting solutions for your staircase lighting requirements. 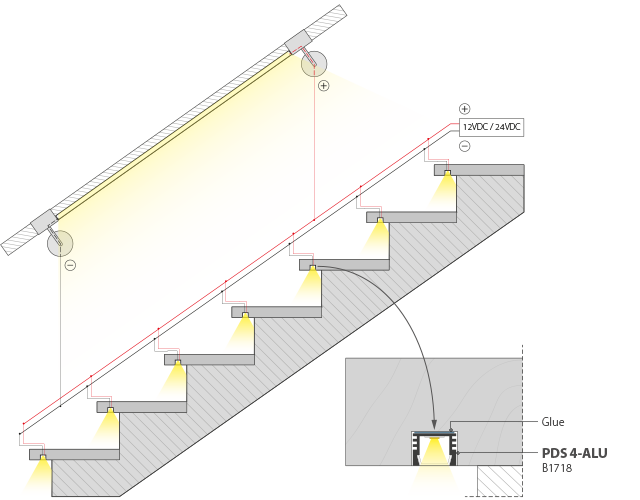 Choose from a wide selection of extrusions; especially STEP profile that offers top and bottom LED stair illumination. Turn on the top LED to light the upper edge of each step or the bottom one to impart a soft glow on each step. These lights enhance the beauty of your staircase. 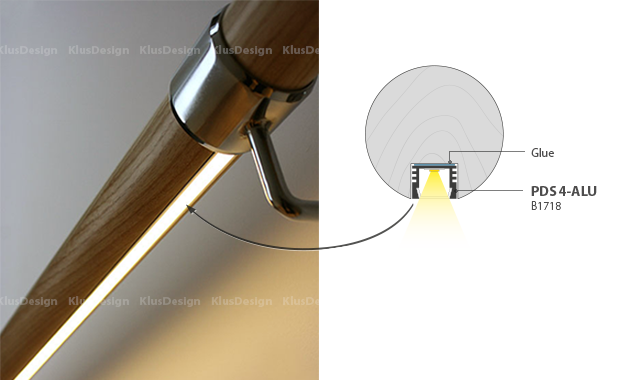 KLUS stair lighting extrusions such as STEP or STEKO are designed not only to illuminate your stairs but also to make it safe. 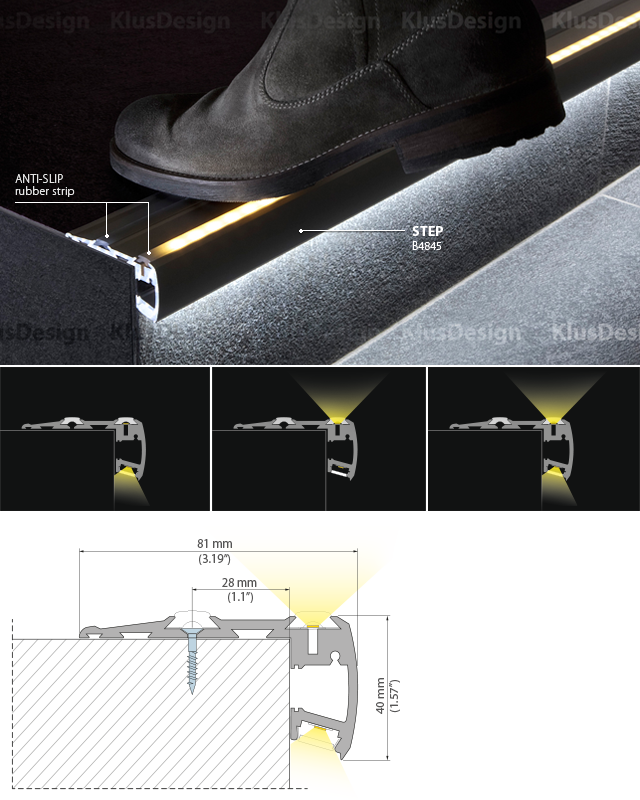 They are specially design to accommodate LED strips and light the stair thread to make it visible and prevent you from tripping. The anti slip rubber strip provides additional safety feature eliminating slippery surfaces of stairs and making it safer to step on without slipping. Our battery operated range of LED stair lighting solution is ideal for houses that have no power outlet in the vicinity of its staircase. If your house has a power outlet close to the stairs, use our transformer that converts normal voltage to 12 volt DC, required for operating the light emitting diodes. For additional illumination, you can install strip LED lights beneath the handrail as well.